Three beds, Two Bath and Two Living! We are excited to present 16 Hetherington Street, North Lakes to the market! Located in Fairway Chase and comprising two living spaces, three generous bedrooms, 9ft ceilings, air-conditioning and solar power. 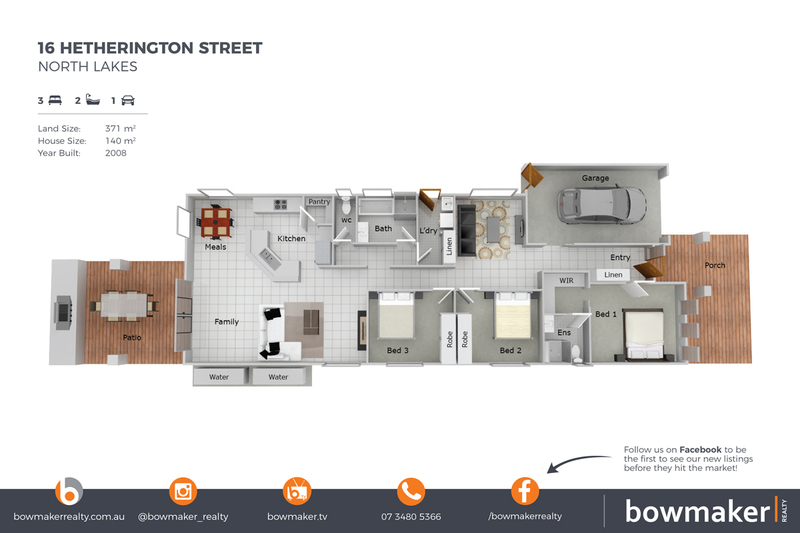 A comprehensive list of special features, inclusions and details, photos, videos and information for this property can be found online at 16hetheringtonstreet.com! For more information on this property or to book an inspection, please contact Paula on 0430 453 676 from Bowmaker Realty- North Lakes leading marketing Agency!